Mary Jones worked has had to work hard all of her life, sometimes barely scraping by as housekeeper for a hospital and then an aid for an elementary school. When she retired, Mary had to move in with her son’s family while she waited for an affordable apartment to become available. Fortunately for AHC of Greater Baltimore, Mary found a home at its MonteVerde apartments for senior citizens and the disabled—and got right back to work. 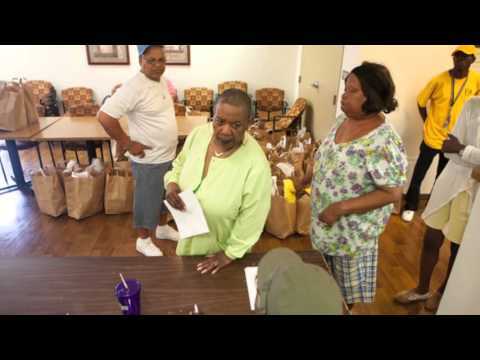 In her four years there, she has become the lead volunteer for distribution of donated food to other tenants who would otherwise not get out, regularly organizes social activities such as movie nights and exercise classes, and makes it a point to drop in on residents who have no family members who visit. Then Mary swung into action. She took charge and organized an equitable food distribution-system and expanded the number of organizations that provided donations. Today, nearly all of the residents participate in the program’s bi-weekly supplies of nutritious, fresh and high-quality food. To do this, she has built builds partnerships with many local organizations, such as Baltimore’s Community Engagement Council, local churches and the food bank. The area’s city council representative and her staff regularly interact with Ms. Jones to facilitate her efforts. And she is appreciated. Mary has been asked to serve on the resident association board since 2012 and was named vice president in 2013. Meet Mary Jones, one of seven winners of our 2015 Dorothy Richardson Resident Leadership Award, who is helping seniors in her community in Maryland eat healthier and thrive.